Civil servants paid by the taxpayers will be required to act as public relations officers of the party momentarily in power. India’s civil service has been under severe strain since the Congress Party split in 1969 and the factions furiously fought to grab power. That was when the concept of a “committed civil service” was propounded and enforced. 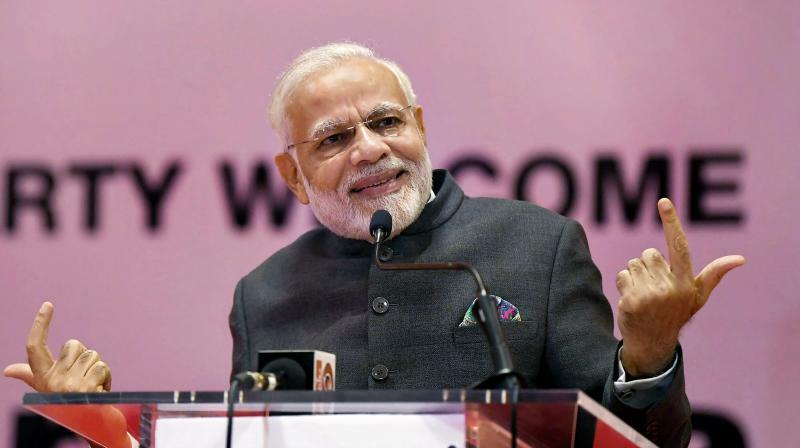 Now, nearly half a century later, a determined effort is being made by Prime Minister Narendra Modi to suborn the independence and integrity of the civil service. On June 11, newspapers astonished their readers by carrying advertisements inviting applications from “talented and motivated Indian nationals” to apply for posts of the rank of joint secretary in the Government of India — “motivated” being code for “committed to the ideological programme and policies of the BJP”. Areas of expertise were named “revenue, financial services, economic affairs, agriculture, road transport, shipping, environment and forest, civil aviation and commerce”. The applicants will not have to go through the grind at the Administrative Staff College at Mussoorie. The impact of this on the morale and independence of the civil service can well be imagined. In short, civil servants paid by the taxpayers will be required to act as public relations officers of the party momentarily in power. This is a gross violation of the Constitution, the integrity of the civil service and the fundamentals of its role in a democracy governed by the rule of law. The civil service must be politically neutral. Make it a part of the ruling party’s propaganda machine and the entire democratic system collapses. The Constitution-makers consciously adopted a “British type of Constitution”, as Patel declared in the Constituent Assembly on June 7, 1947. There the posting, transfer, and promotion of, and disciplinary action against, a civil servant is decided by the head of the civil service department, who also holds the post of Cabinet secretary, in consultation with senior permanent secretaries. Britain’s Civil Service Code, 2006, says: “You must not act in a way that is determined by party political considerations, or use official resources for party political purposes.” Modi’s latest fiat flouts this basic rule.